Liverpool winger Sadio Mane has topped the latest Power Rankings. The Senegal international scored his ninth goal in as many league games during a 2-1 win at Fulham, with team-mate Trent Alexander-Arnold climbing one place into No 7 spot. 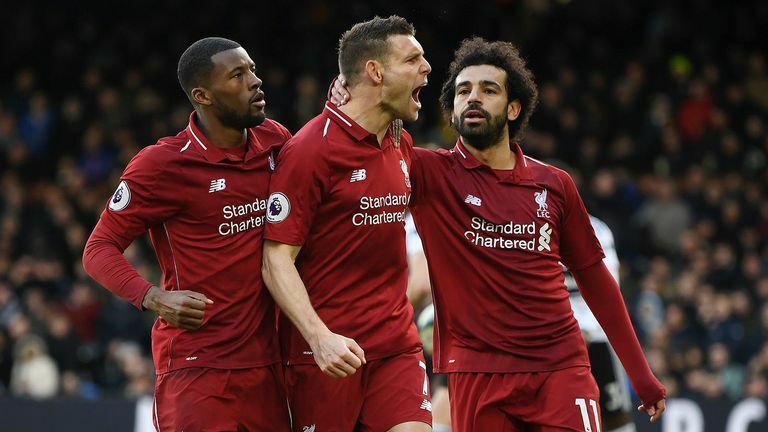 Highlights from Liverpool's 2-1 win against Fulham in the Premier League. Jamie Vardy slipped into runner-up spot after helping Leicester record a 2-1 win at Burnley, with goals from James Maddison (No 4) and Wes Morgan heading a late winner - despite having Harry Maguire sent off within four minutes. Newcastle's Salomon Rondon (No 3) scored a stunning free-kick and Matt Ritchie hit an exquisite stoppage-time leveller in a 2-2 draw at Bournemouth, while Josh King (No 10) scored both goals for the hosts. Eden Hazard (No 8) kept his place among the top performers, despite Chelsea suffering a costly 2-0 defeat at Everton - benefitting from five top-flight games being rescheduled due to FA Cup commitments. Why not add Sadio Mane to your team?